Merck Millipore – Duggan Brothers Ltd.
- Civil, structural and Architectural Fit-out works. 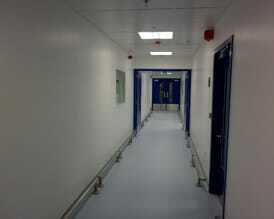 Including Cleanrooms and Laboratory Areas. - Process Control System works. - Building Management System works. 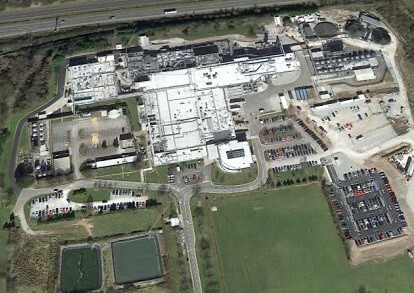 - PSCS for the project was carried out by Duggan Brothers Contractors. Steelwork alterations to the existing AHU platform and roof to accommodate new platforms and roof openings. This also involved upgrading the existing roof structure. Internal bund construction and fabrication of new raised stainless steel platforms for Reactor and Buffer vessels. External Deep Bunds and Chemical Stores buildings were constructed. Construction of a new cleanroom facility, incorporating airlocks, interlocking access in Ex rated zones, vision panels and all the necessary services. 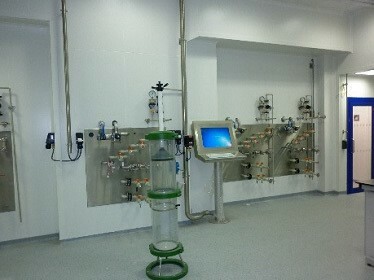 Fit-out included the installation of laboratory furniture and Fume Hoods and Gowning equipment. Floor and ceiling finishes also formed part of the contract works. Fire sealing and fire protection of mezzanines and existing walls. 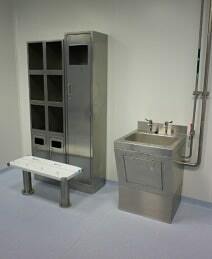 A new Cold Room was also installed and commissioned as part of the project.